We obtain the adiabatic compression of femtosecond solitons in fibers with slowly decreasing dispersion (FSDD’s) and discover the effect of soliton pulse-width stabilization in FSDD’s. 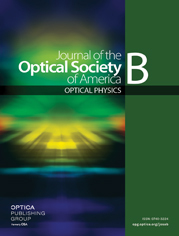 A theoretical model for the description of femtosecond-pulse propagation in FSDD’s is presented. The model takes into account higher-order nonlinear and dispersive effects in fibers. We present numerical simulations of a generalized nonlinear Schrödinger equation and the adiabatic soliton approximation theory as well. Good quantitative agreement between the theory and the experiments is seen. The effect of soliton pulse-width stabilization in FSDD’s is described as a result of the combined action of the third-order dispersion and Raman self-scattering effects. We also show the possibility of obtaining high-quality pulses with less than a 15-fs pulse width in the 1.6-μm spectral region by soliton compression in FSDD’s.